Department of Plant & Architectural Engineering, Kyonggi University, Suwon-Si, South Korea. 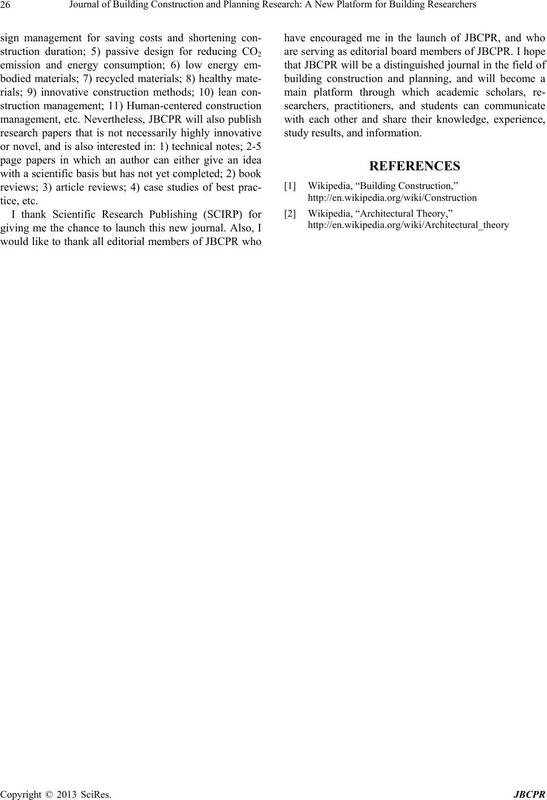 which permits unrestricted use, distribution, and reproduction in any medium, provided the original work is properly cited. ory, knowledge, techno logy, etc. to building construction. and estimation of a project, from starting to completion. ture . Architectural design is a plan for architecture, i.e. and has recently been considered as a priority. 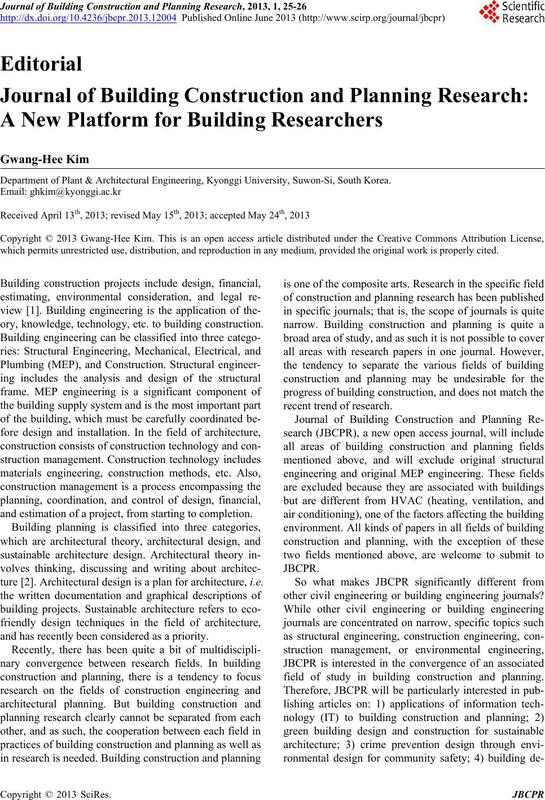 other civil engineering or building engineering journals? field of study in building construction and planning.